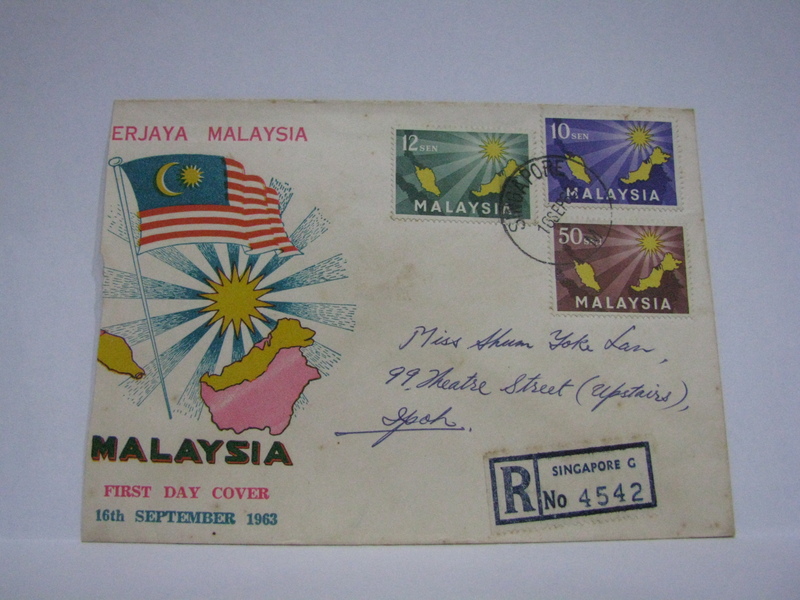 16 September 1963 is when Malaysia is formed. 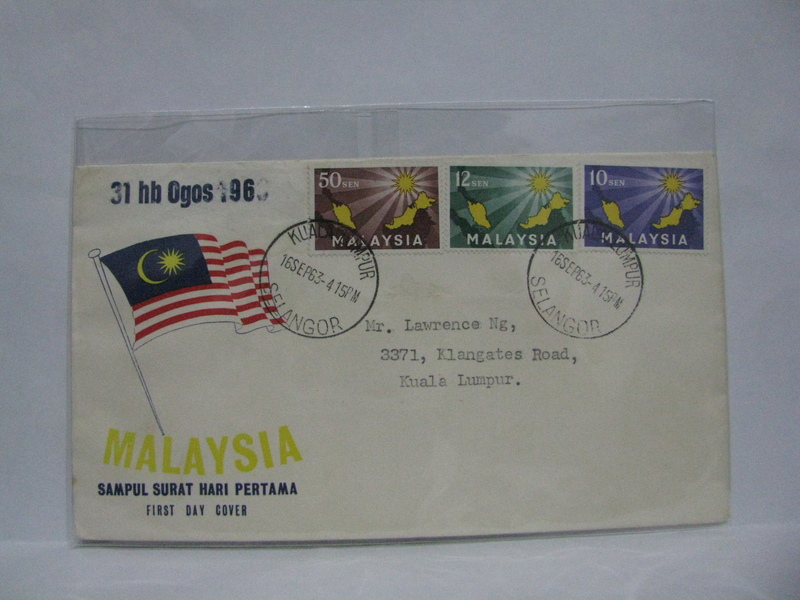 The more sought after FDCs are those cancelled in Singapore as Singapore is not longer in Malaysia. 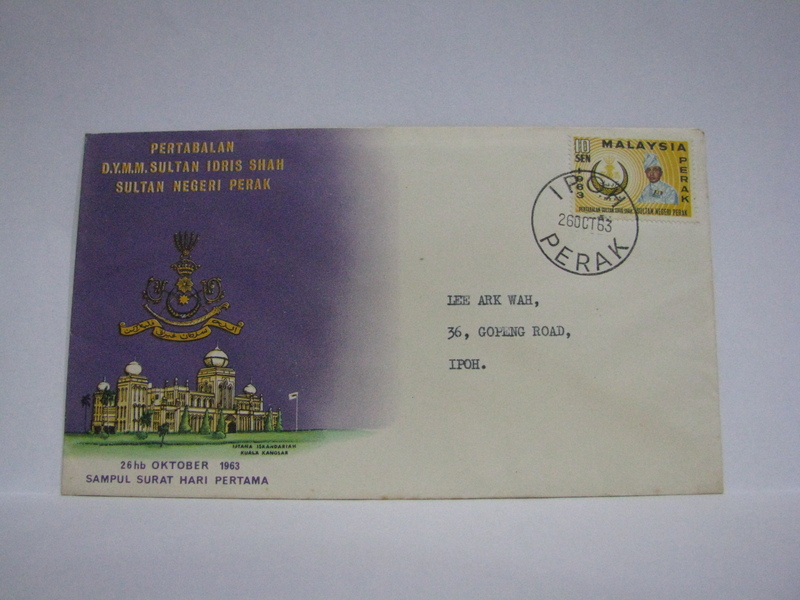 This official FDC was cancelled in Kuala Lumpur. 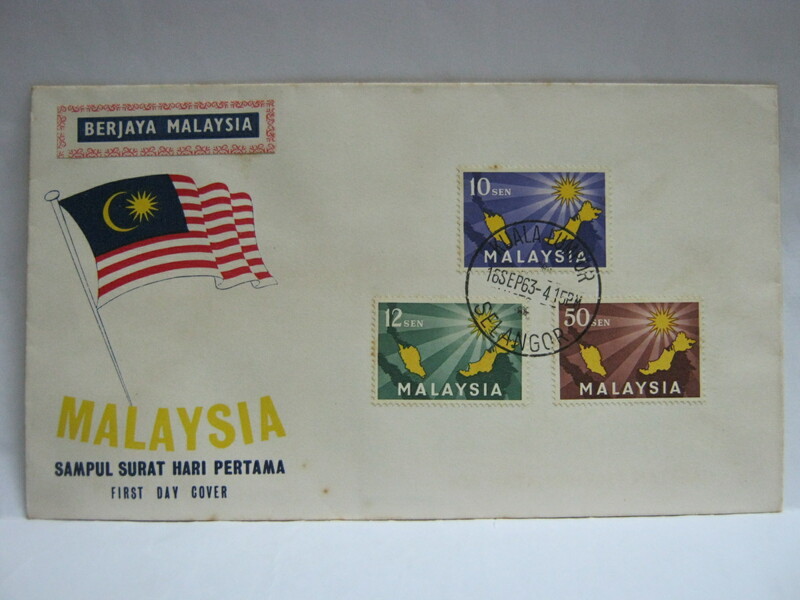 The original date for the formation of Malaysia was 01 June 1963. 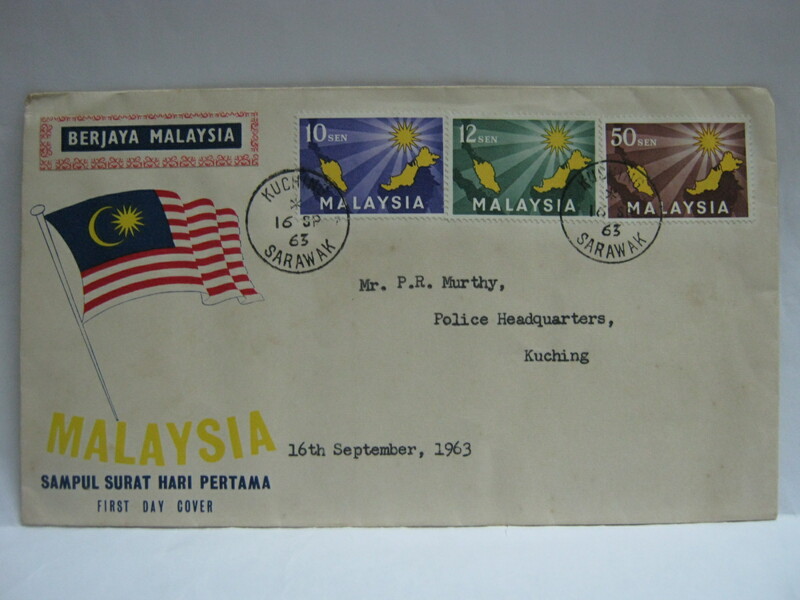 However this was postponed to 31 August 1963 in order to align with Merdeka Day. However due to objection from neighbouring countries, the date is postponed again to 16 September 1963. Check out the amended cover further down the page. 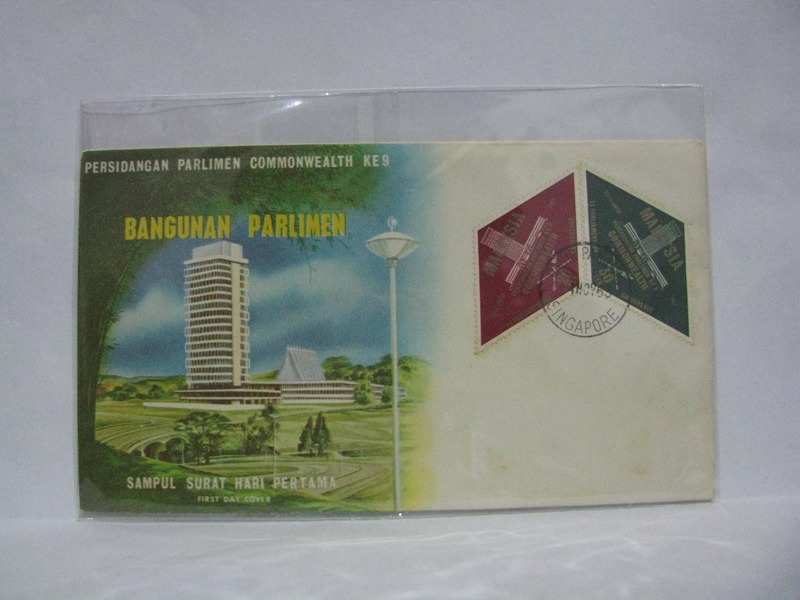 This FDC was cancelled in Kuala Lumpur and includes a sticker “Berjaya Malaysia” applied onto the original printed date of 31 August 1963 due to the postponement of the formation to 16 September 1963. 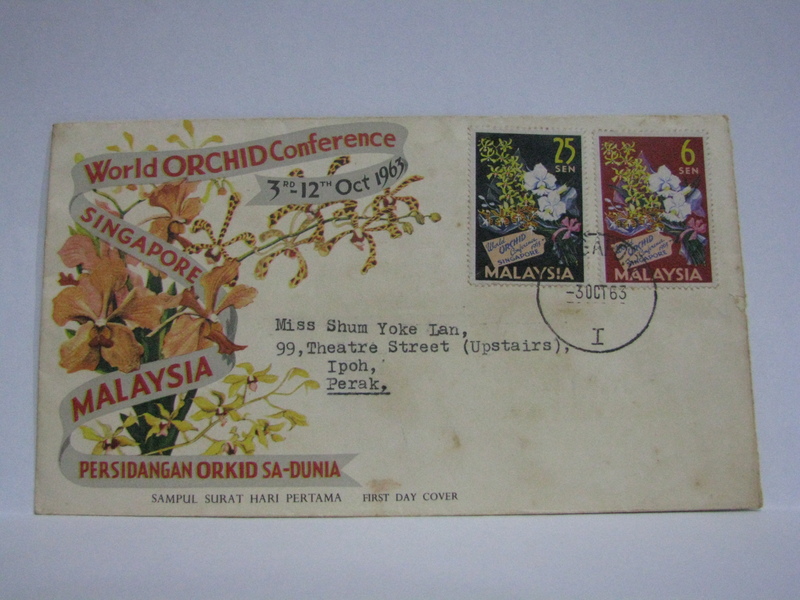 This FDC was cancelled in Bukit Timah, Singapore . 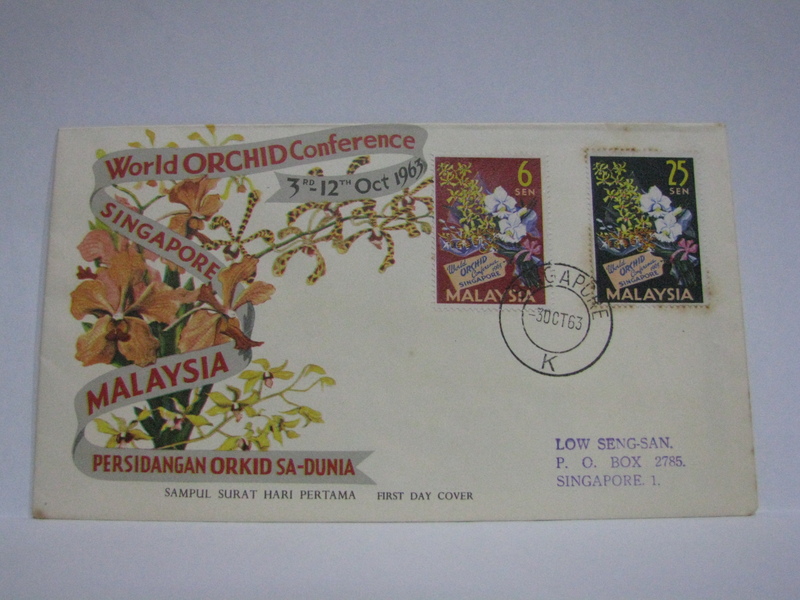 This FDC was cancelled in Jesselton, North Borneo (Sabah). 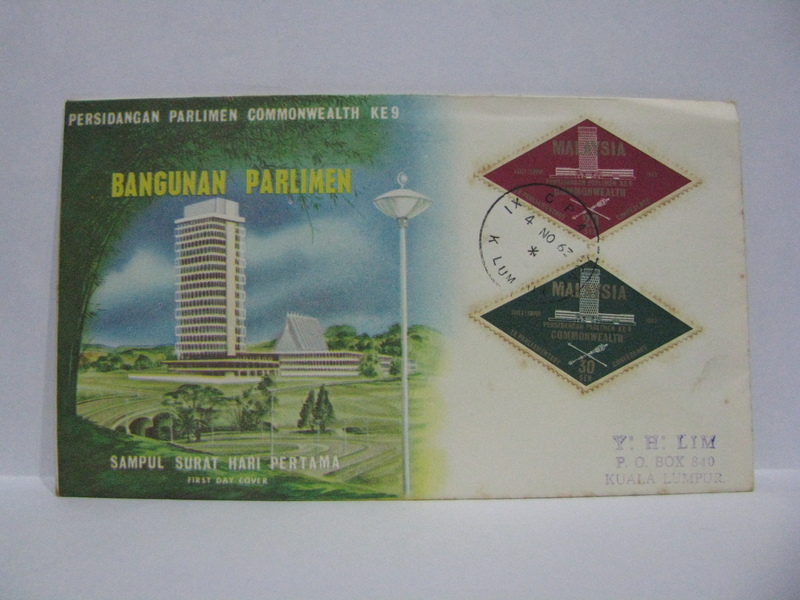 This FDC was cancelled in Kuching, Sarawak. 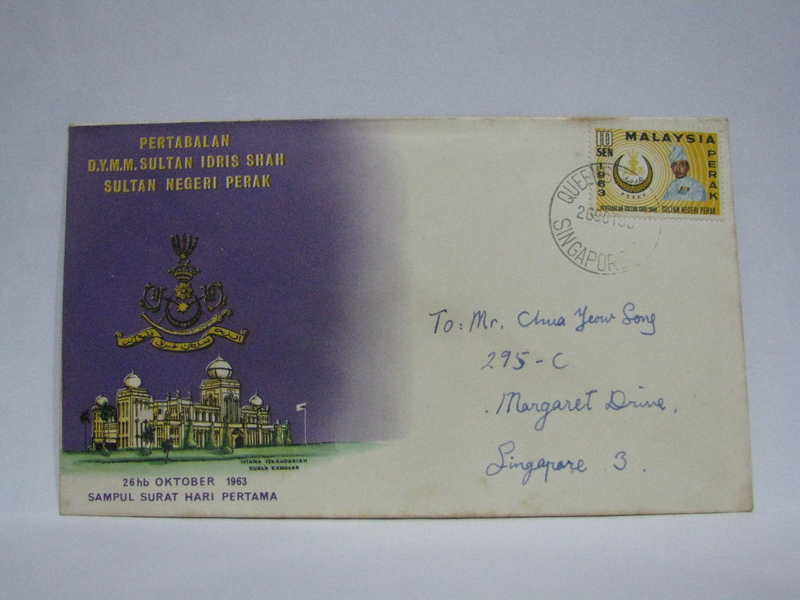 These are private FDCs cancelled in Singapore and sent via registered mail. Type 3 cover – sadly partly cut off. 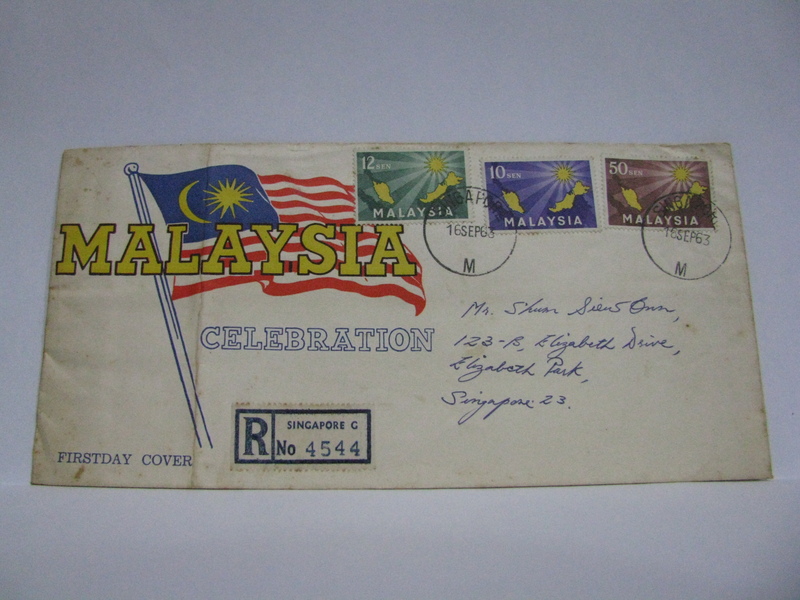 It is interesting that the first commemorative issue after the formation of Malaysia was an event in Singapore. 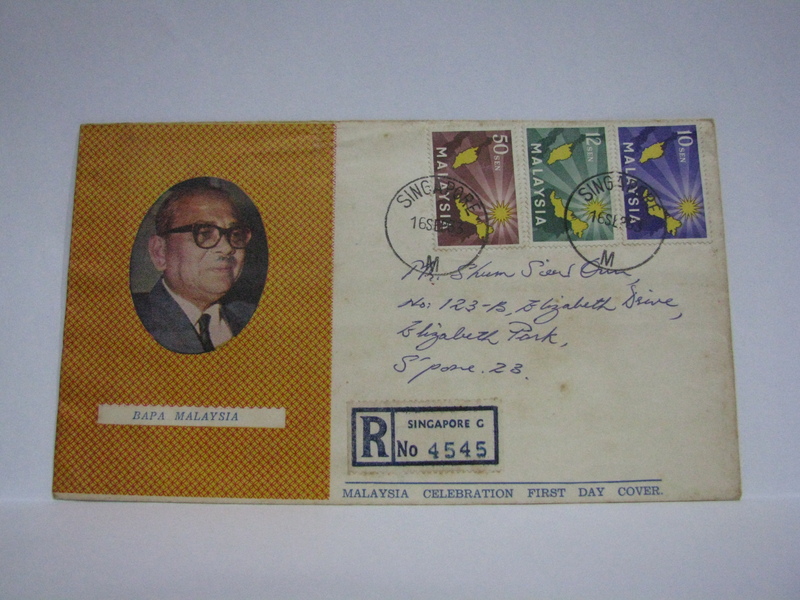 Here are 2 covers cancelled in Singapore both sent via normal mail. 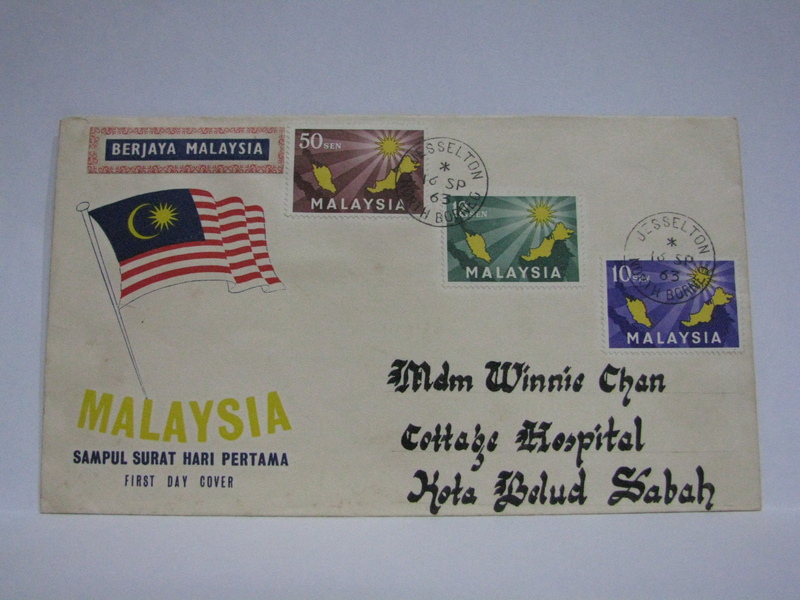 The FDC was cancelled in Ipoh and sent via normal mail. This FDC is more interesting. It was cancelled in the royal town of Kuala Kangsar. Here is a FDC cancelled in Queen Street, Singapore. The FDC was cancelled in IX CPA CONF Kuala Lumpur at the conference venue. This is a very rare cancellation. 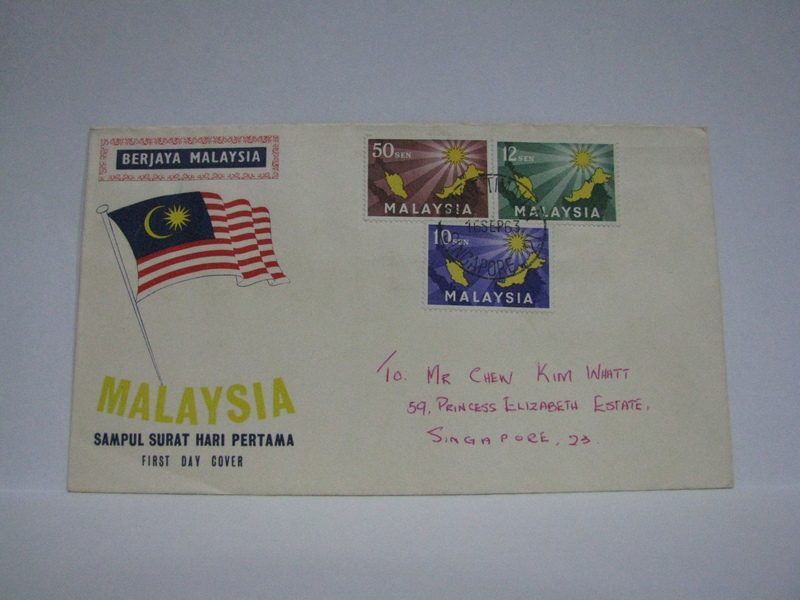 Here is the more common Kuala Lumpur cancellation. 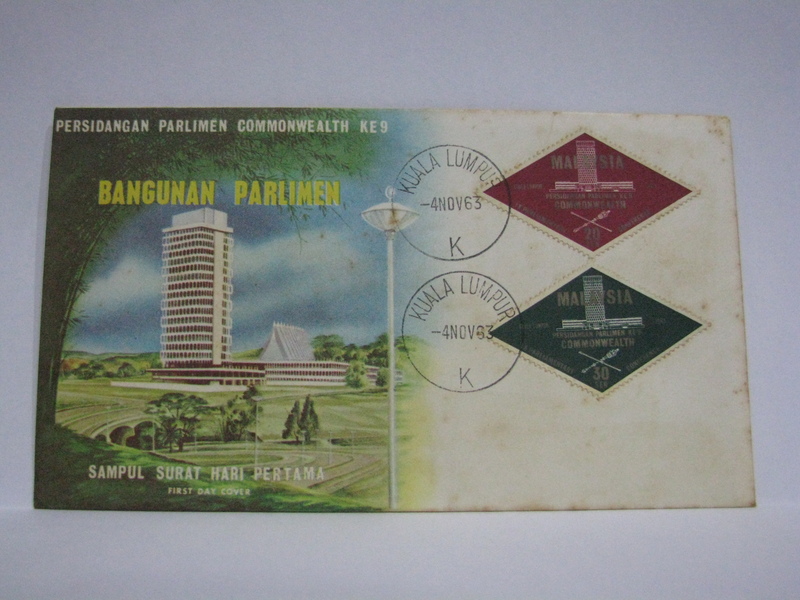 This FDC was cancelled in Pasir Panjang, Singapore. Hi! I have a first day cover of the Installation of H.H. 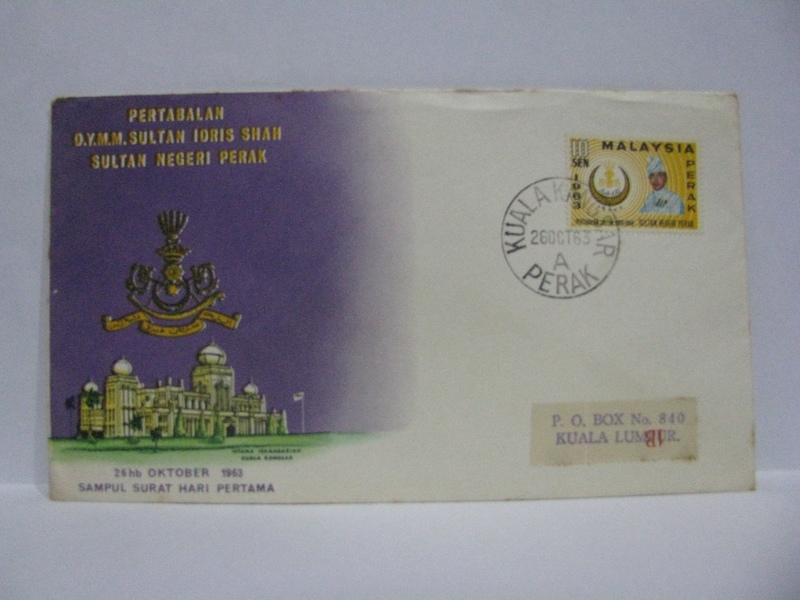 The Sultan of Perak. It’s different from the picture you show. If you want more information about it, let me know. Thank you for sharing the info! I think there’s 2 type of FDC for that issue. I also have the one in your blog. I have no information about it because I get it from my grandfather’s collection.